Sales Funnels, ClickFunnels Pricing, LeadPages Pricing and All Things Digital Marketing at your fingertips. Today we're going to talk about AWeber pricing and its features. In a world of many “do absolutely everything” automated email solution providers, AWeber continues to get the job done. AWeber is a great solution for those looking for an automated email service that is simple and uncomplicated. AWeber has been around in some form or another since 1998, several eons in the fast-moving tech field. Over that span of time, plenty of email/newsletter providers have promised great things but crashed and burned and never have been heard from again. This longevity does say something positive about AWeber as it continues to find new subscribers as well as keep existing customers around. AWeber Communications is based in Chalfont, Penn. Tom Kulzer launched the company in 1998, and today employs more than 100 people. The program is designed to offer a variety of automated email management tools small- to medium-sized businesses, generally up to about 25,000 subscribers. According to Capterra, it is trusted by over 100,000 small businesses and entrepreneurs. So it can be useful for a small operation that wants to reach a few hundred supporters to slightly larger organizations that may have multiple messages that need to reach multiple audiences. According to Zapier, AWeber is a great tool to use if you’re wanting to grow your subscriber list. It offers similar tools as other Email Service Providers, such as the ability to manage lists and create customized autoresponders. But it also offers additional features to further enhance messages including the ability to access to 700 templates for designing suitable customized responsive email messages. It also is down-right user-friendly in its ease of use, with three types of editing tools available: something for users who knows advanced design/HTML, a plain text editor, and a drag-and-drop menu for those who can at least build boxes. Besides templates, editing options and strong support, it can host or import email databases; allow autoresponder customization; responsive email design, RSS and email-to-blog functionality; tools to collect and add new names/emails to databases; the ability to integrate with some other programs, and the ability to easily view analytics and performance results. One newer feature that many users had asked for is tagging, which allows you to sync multiple emails with the same keywords. AWeber customers pay monthly subscription fees based on the size of their email audience. This is a surprisingly simple and refreshing formula, especially in a culture when many competitors offer extra tools, extra templates and extra support only for those at the higher service levels. This “pay more/get more” approach also encourages the “bare bones” customers to consider upgrading so they can better access full premium services. But with AWeber, everyone gets access to everything, although the total amount of tools available is fewer than some competitors. Companies with lists over 25,000 are encouraged to call for a custom estimate. Customers who pay annually vs. monthly can receive a 14.9 percent, and quarterly vs. monthly subscribers can receive a 15 percent discount. Non-profits and student customers also receive small discounts. Users interested in trying AWeber can use it for 30 days without paying. They do need to provide credit card information to sign up, but it won’t be billed until the trial period end if they elect to continue the service. Only $29 with this link. More than anything, I use Aweber for affiliate marketing. I've established a large portfolio of passive income that my family and I enjoy every month. After being SHUT DOWN by many email marketing systems, Aweber has been the most diplomatic and flexible tool yet in my journey. 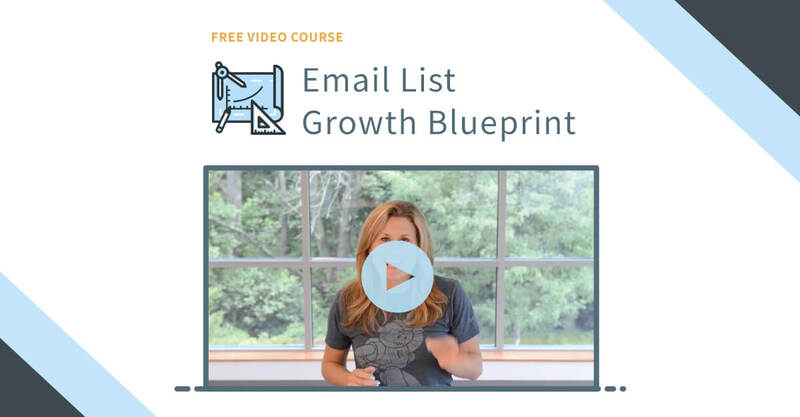 As a result, I created Sales Funnel Blueprint to teach everyone not only what I've learned over the years in internet marketing, but to give them an affiliate marketing business with the proven potential to earn six-figures per year. You can get your license of it here. Because of its history, AWeber should appeal to a very wide group of users. Someone who has never used an automated email service will enjoy the basic interface, while someone who may not have used one for years may still be able to know how it all works. If you're looking for an easy simple way to manage your newsletter distribution and subscriber list, then AWeber is the tool you should use. Clickfunnels vs. Builderall - What Should You Use To Build Your Online Business?